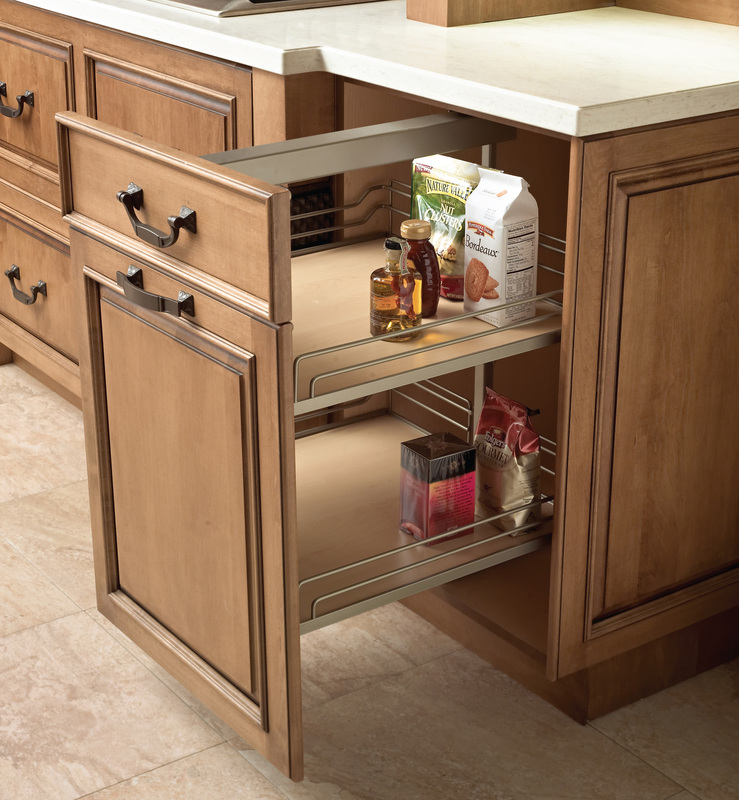 The need for organization and interior storage options has continued grow with high demand over the last decade. The various “things” we accumulate continue to pile up with no place to put them. I believe we can all agree that there is something refreshing about having a clean and uncluttered kitchen. The kitchen tends to be the focal point of all homes as this is the place where families spend time enjoying each other’s company the most. But no one can relax or enjoy themselves when the kitchen is a mess. A recent study by the Huffington Post polled over 1,000 U.S. adults: Out of that number, 81 percent of men and 87 percent of women reported experiencing anxiety over a cluttered and disorganized home. 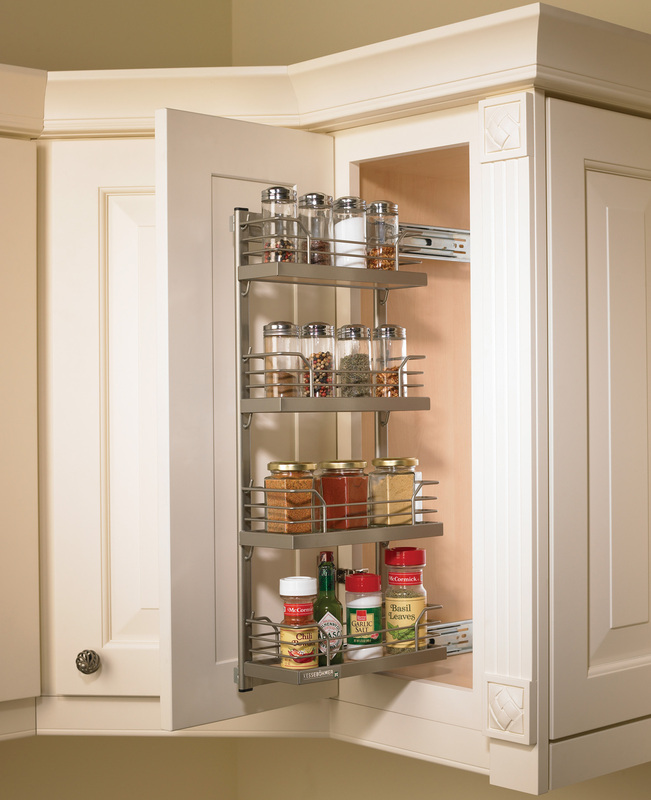 Here are a few ways that we suggest to offer your customers less cluttered and more enjoyable kitchen space. 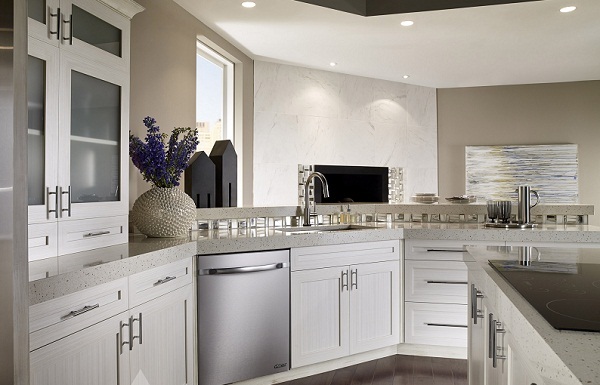 While kitchen accessories and interior storage is generally not at the forefront of the customers mind when starting a project, it is a vitally important asset to any kitchen. Like many of you, at Conestoga Wood Specialties we’ve continued to expand our interior storage program to accommodate more consumer organization needs. Your customers are searching for storage options that will present them with convenient storage and easy access while still maximizing space. Offer your customers piece of mind and let them know of all the organizational design options available to them. Help every customer not only get the most out of their space but organize their items as well so they know where to find anything they need within seconds. One of the best ways to maximize space within a kitchen is to have a simple yet elegant way to organize all of the kitchen’s most frequently used items. 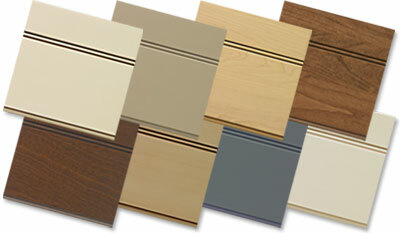 Below are three simple suggestions that will allow your customers to add simplicity and organization to their cabinets. 1. 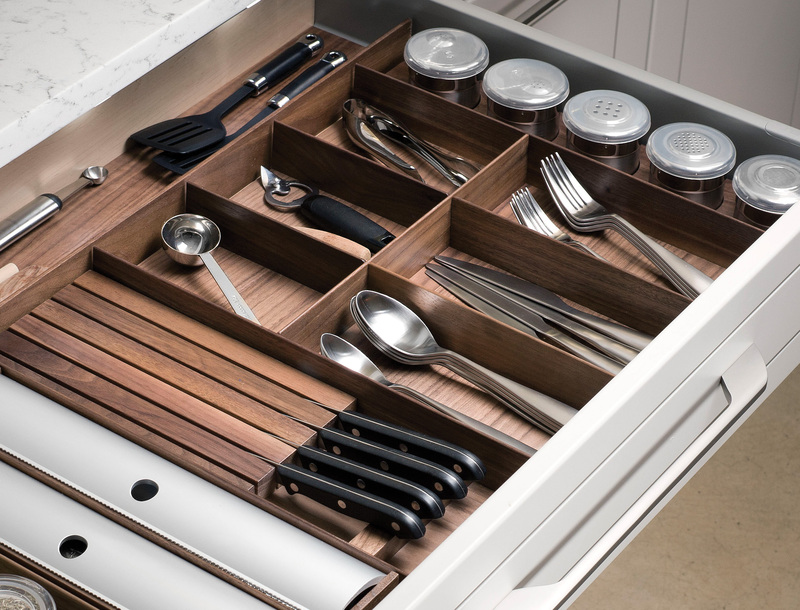 Drawer organization systems: Products such as Fineline and Rockenhausen brand drawer organization units are the perfect option for storage of utensils and cutlery. You can purchase and trim them to fit drawers up to 36-inches wide, or a manufacturer can custom trim the dividers to your specification. 2. Kitchen and plate organization sets: This popular European deep drawer storage option has been refreshed to feature a new support post design. This approach to plate storage makes sense, especially when a deep drawer cabinet can be placed close to the dishwasher. 3. Base pull out units: Smooth operation and European engineering are just two of the features of this pull-out storage system. Designed to fit in framed or frameless, inset or overlay, these pull out units are constructed with maple patterned non-slip shelving and an attractive champagne finish on the metal shelf surrounds. These three interior accessories give homes to utensils, plates and even salt shakers. I think we can all agree that it feels good to have a place for everything and know where to look when you need something. For more information on Conestoga’s interior storage accessories visit conestogawood.com. quality through our pioneering business processes. For more information contact (800) 964-3667 or visit ConestogaWood.com.